EghtesadOnline: Close to 1,500 tons of hand-woven carpets worth more than $119 million were exported from Iran in the five months to Aug. 22, the head of Iran National Carpet Center announced. “Last year, exports amounted to $359 million. The US with around $90 million worth of purchases was the main importer of Persian carpets over the period. Persian hand-woven carpets are exported to 80 countries,” Hamid Kargar was also quoted as saying. 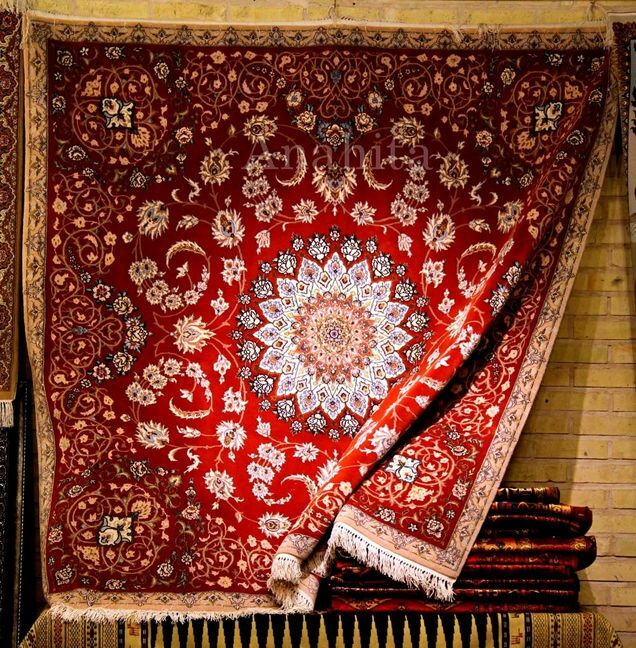 Kargar explained that exports to the US have been gaining momentum after five to six years of “zero” exports to the country, due to the ban imposed on the import of Iranian carpets in Sept. 2010. Sanctions were lifted in Jan. 2016 as part of a landmark nuclear deal the country signed with world powers the year before. In exchange, Iran agreed to limit the scope of its nuclear activities, according to Financial Tribune. “Iran is the biggest exporter of hand-woven carpets with a 30% share in global markets,” Kargar told Financial Tribune at the 26th Iran Handmade Carpet Exhibition that was held in Tehran’s International Permanent Fairgrounds in late August.